I'm already an avid fan of Rodial skincare so these two new additions to my Rodial collection made me very excited to try. 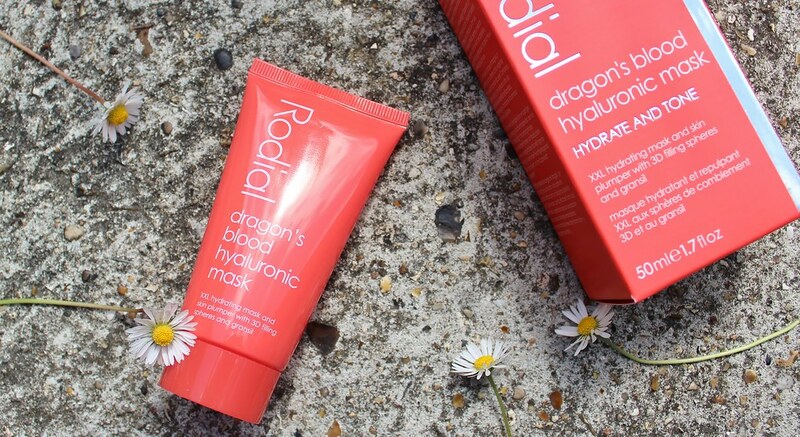 I've already got the Rodial Dragon's Blood Hyaluronic Moisturiser which I've been religiously using for the last two months and absolutely adore as my skin feels so much better and hydrated than what it was. This made me even more excited to try the complementary, Rodial Dragon's Blood Hyaluronic Mask* as my skin can never have too much moisture! I have a few leave-on overnight hydrating masks and I have to say, I'm not completely convinced on the whole idea of them. I find some feel greasy on the skin and getting stuck to your pillow at night whilst trying to sleep is not fun at all! 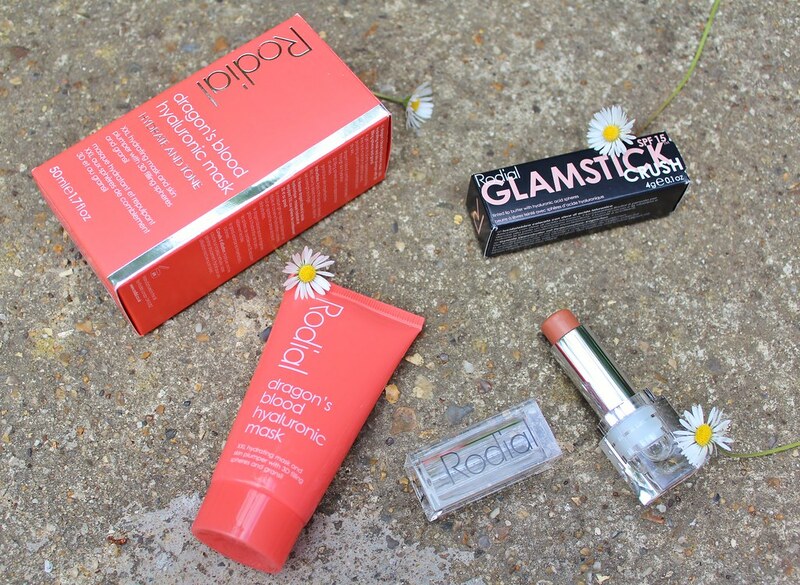 This Rodial mask however, is definitely my favourite to date! I'm in love with the texture and formula of the product. It glides on seamlessly and my skin literally drank this up in about five seconds (which shows how dehydrated my skin actually is!). Obviously, I could still feel the product on my skin so left this overnight and washed off in the morning. My skin felt so smooth afterwards and anything with Hyaluronic in my eyes is a winner. Next up is the, Rodial Glamstick in, 'Crush'*. These are tinted lip-butters and I've heard so much about them so was desperate to try these myself. I wouldn't really go for this colour on a day to day basis but with a tan this just complements the whole look perfectly. The one thing I particularly love about the Glamstick is that it doesn't make my lips feel tight and dry. I love anything that provides colour and still feels comfortable and moisturising whilst on my lips and this is perfect for that.